A relative of ginseng, Eleuthero is an adaptogen, a substance that increases the body’s energy and ability to maintain balance. 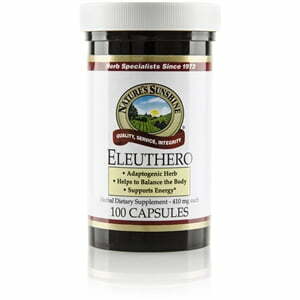 In ancient Chinese traditional medicine, eleuthero was sometimes worth more than gold because of its many health benefits. A native plant of Siberia, an eleuthero root must grow for at least two years before it can be harvested for medicinal use. 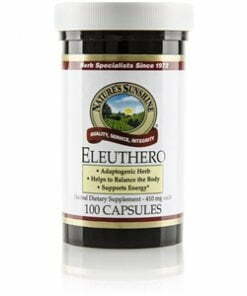 Nature’s Sunshine Eleuthero comes in 410 mg capsules.